Manchester City barely have time to recover after their Sunday win over Arsenal before heading to Merseyside for a rearranged midweek game against Marco Silva’s Everton. A familiar face of late will have the whistle for this game, with Craig Pawson appointed as the referee. The 39-year-old was in charge of the reverse fixture in mid-December at the Etihad Stadium, which City won 3-1. More recently, Pawson was assigned City’s match against Wolves, which they also won, meaning they have a perfect 2-0 record under the Sheffield-born referee this season. 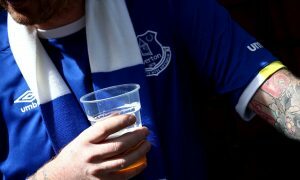 As for Everton, other than their defeat to City before Christmas, they had Pawson for their opening game of the season, a 2-2 draw away at Wolves.